2 Fast 2 Furious (alternatively known as Fast & Furious 2, Fast 2 or Furious 2) is a 2003 American crime action film directed by John Singleton. 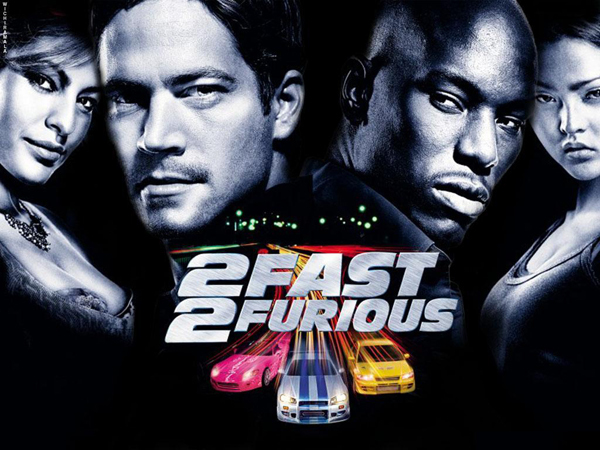 It is the second installment of The Fast and the Furious franchise. Brian O’Conner (Paul Walker) teams up with his ex-con friend Roman Pearce (Tyrese Gibson) and works with undercover U.S. Customs Service agent Monica Fuentes (Eva Mendes) to bring down Miami-based drug lord Carter Verone (Cole Hauser). This is the first Fast & Furious film to not star Vin Diesel.